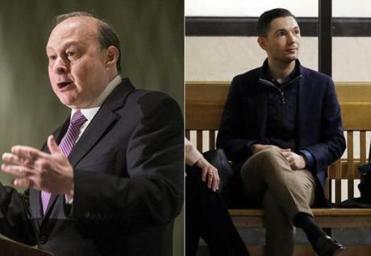 Former Senate president Stanley C. Rosenberg is asking a judge to dismiss part of a civil lawsuit against him and his husband, Bryon Hefner. The lawsuit was filed this year by a former State House staffer who says Hefner sexually assaulted him, thus inflicting emotional distress. The suit also alleges that Rosenberg knew Hefner posed a risk to people with whom Hefner interacted at the State House, including the plaintiff, and accuses Rosenberg of intentional infliction of emotional distress and civil conspiracy. Rosenberg, through his lawyer, is asking for the counts against him — but not Hefner — to be dismissed. The legal filings refer to the accuser as John Doe. The allegations, the lawyer for the onetime top legislator said, fall far short of the legal standard for the claims made against him. “Doe impermissibly seeks to hold Rosenberg liable for Hefner’s alleged conduct,” he said. The Amherst Democrat, who has served as a legislator for 31 years and whose resignation will take effect Friday at 5 p.m., also expressed grief about the situation. But in a reply, the plaintiff, through his lawyer, says Rosenberg allegedly gave Hefner “access” to people connected to the State House “with knowledge of Defendant Hefner’s sexual intentions and their known or foreseeable outcomes” meets the legal standard. The accuser’s lawyer, Mitchell Garabedian, also filed a motion with additional information, including the findings of a Senate-initiated investigation into Rosenberg’s conduct. That investigation found Rosenberg betrayed the chamber he was entrusted to lead by giving his Hefner unfettered access to his official e-mail, undermining state Senate policies, and failing to protect the Senate and its staff from a spouse he knew had harassed them. A hearing on the motion to dismiss is expected in the coming weeks. A judge ruled earlier this summer that the identity of the plaintiff will be kept secret at least until trial. Hefner is also facing criminal charges in Suffolk Superior Court. He has pleaded not guilty to multiple counts of sexual assault. Attorneys for the man suing Hefner and Rosenberg have confirmed he is one of the complainants in the criminal action. In a separate case in Concord District Court, Hefner pleaded guilty in August to four counts of placing “annoying” telephone calls and admitted that prosecutors had sufficient evidence to convict him on two counts of criminal harassment — all misdemeanors. 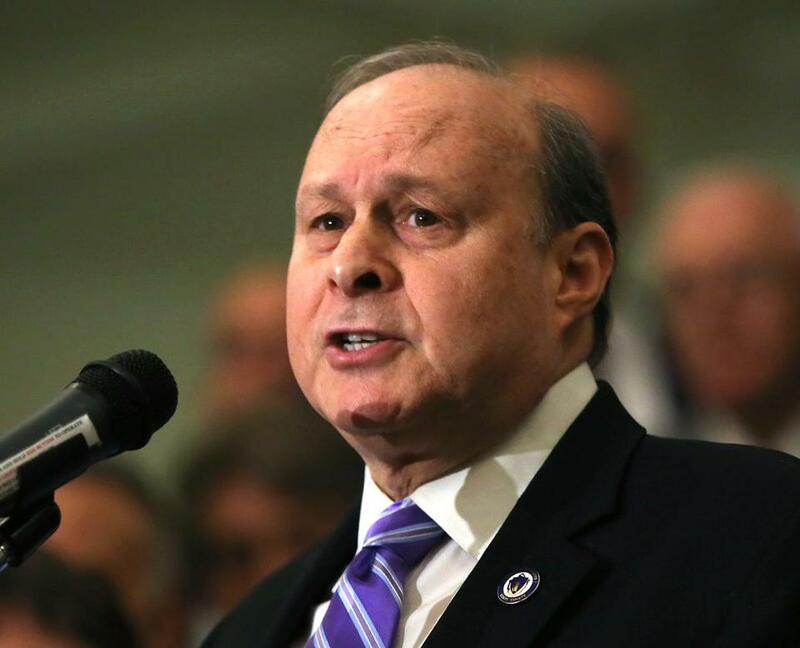 Rosenberg stepped down as Senate president last year and resigned from the Senate in May.